We’re back at it. It seems only the other day we were hauled out and repairing the centreboard.This time we are tearing out the teak from the cockpit and replacing it. The teak is from the original time the boat was built in 1982 and after years of bearing the brunt of people’s butts the teak is wearing thin. That means the screws put in from underneath are poking up through the teak and making us feel like we are sadhus whose expertise is sleeping on a bed of nails. So, where else but in Thailand would one be able to find teak. 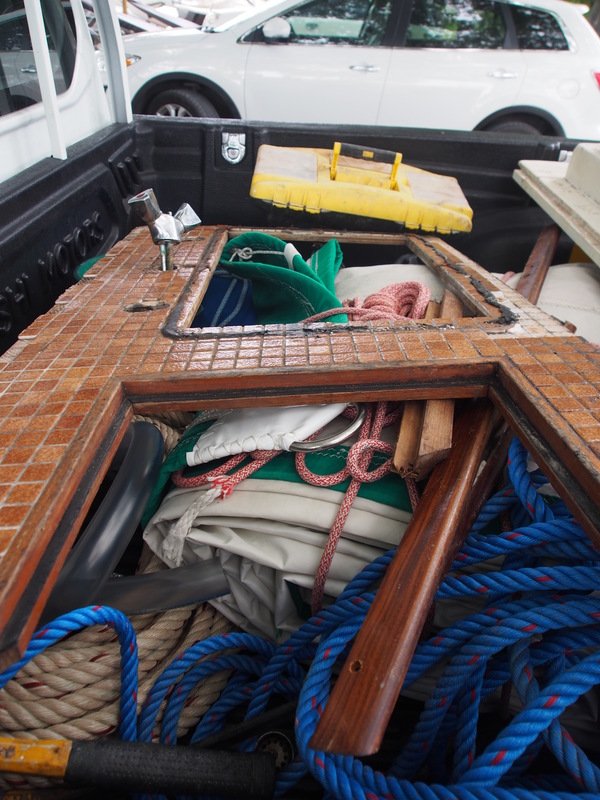 It is great for use on the outside of the boat but I don’t agree with the vast amount of teak used for interiors when there is so much other kind of wood that has beautiful grains and would be suitable for boat interiors. Basically teak is too dark for us. 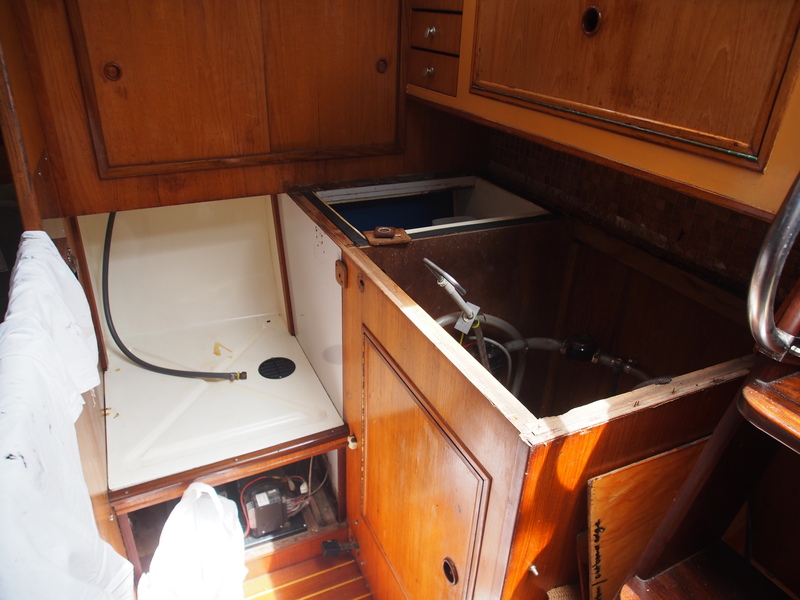 Apart from the teak in the cockpit we are also tearing apart the galley. We are making up a new countertop, installing new taps and replacing the insulation in the ice box to make it more efficient. Stay tuned for more pictures as we progress. Hi Tony and Connie , Thank you for your renovations of the upkeep of Sage . Have you been able to drop a line to Paul Brunning yet and meet up with him in Phuket? . I hope your trip from Langkawi to Phuket went well and had fair winds. All the best to you and good luck on the improvements. Bill. Memories of our PH 3 renos! The pits at the time but well worth it in the end! Aha! 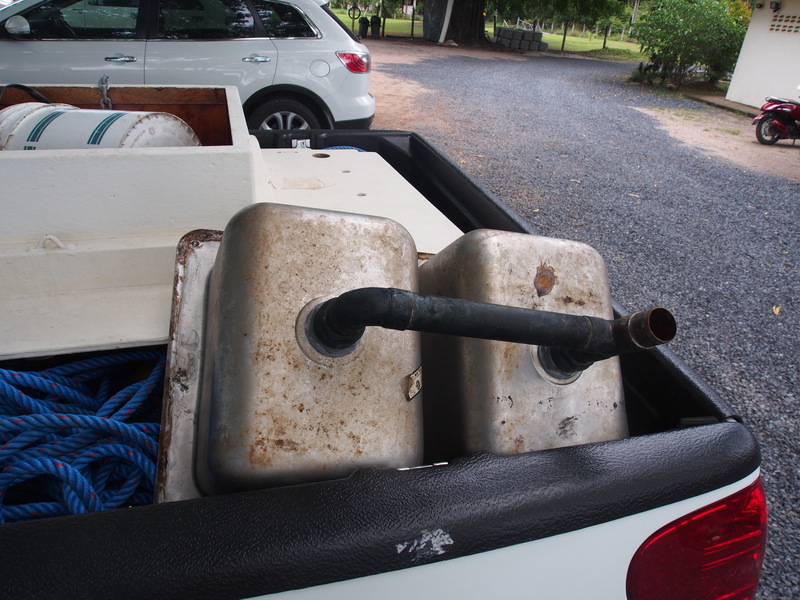 So it is impossible to escape kitchen renos…..on land or on sea. that’d wear me a bit thin too. 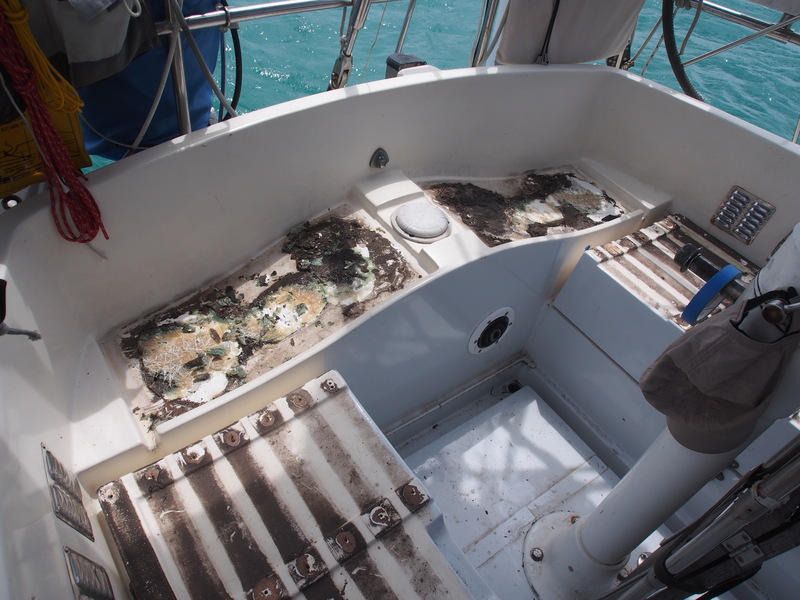 as we all know, no such thing as a free boat; a hole to pour money (and energy) into but we love it… right?! rinse and repeat.